Engineers in the APQP meeting confirm design specifications of molds, manufacturing processes of parts and requirements of mold developing. They also set up time schedule for the mold development. According to the results of the meeting, all departments proceed individually with their work. After setting up the parting line position and the required draft angle on the 3D drawing, if some position cannot easily be filled with materials, RD proceeds with the mold flow analysis to modify partly the design. While there is a necessity, engineers discuss with customers for modification approvals to complete the Tooling development. 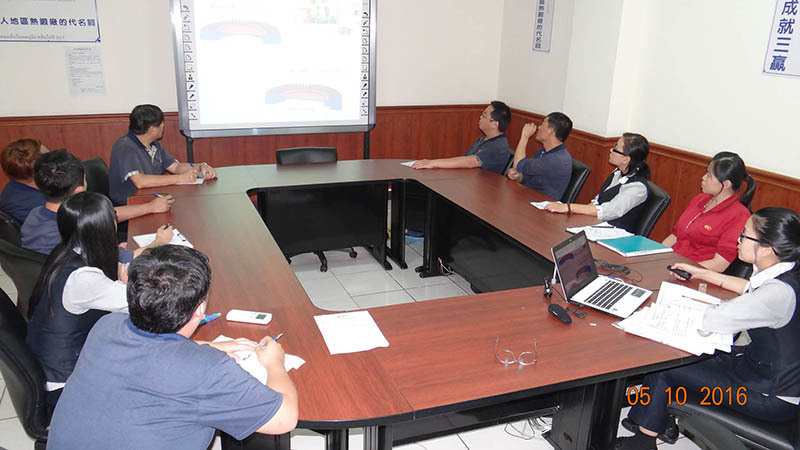 After receiving 3D drawings, the Tooling plant and R&D engineers agree on key design points for rough forging Toolings. With CNC machines, the Tooling plant works on rough forging Toolings and fine forging Toolings and informs the R&D engineers the problems encountered during the manufacturing to search for solutions. After having the Tooling in the factory, in cases necessary, the Tooling engineers proceed with nitriding heat process and polishing process. At trials, after installing new Toolings on forging machines, APQP engineers gather around the machine to record every testing information. While encountering problems, engineers work to solve immediately the problems, in order to be able to successfully measure trial samples for confirming if the dimensions are in compliance with customers’ requests. After the inspection done by quality control department, the Toolings are secured in the storage with a Tooling ID card. 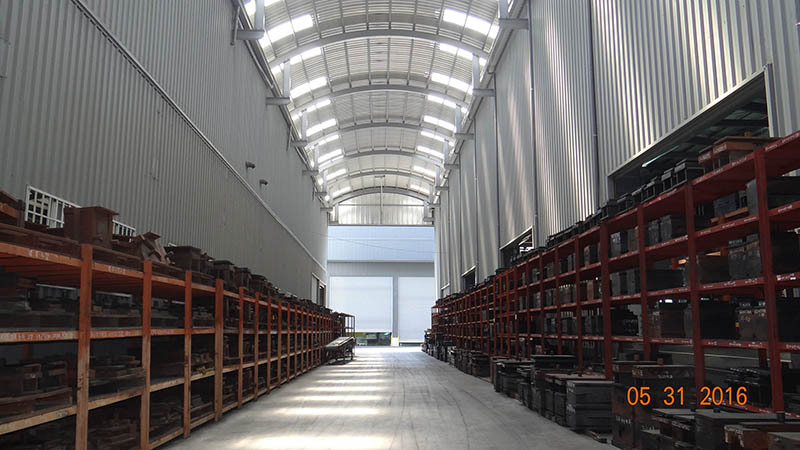 For being able to immediately assist solving process obstacles in production lines, we have engineers in the steel forging plant as well as in the aluminum forging plant. While discovering problems generated by Toolings, the plant manager decides if it is necessary to stop the production line and remove the Toolings for repairs. We have served more than 3000 sets of Toolings in production. 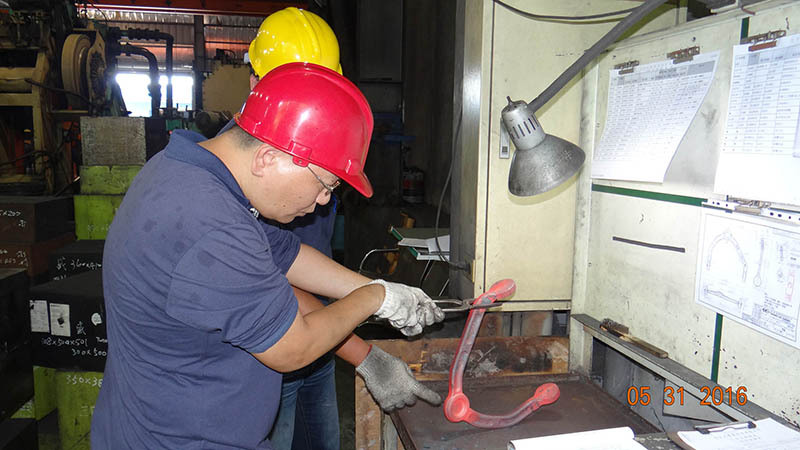 After each production, we carry out the maintenance on the Toolings, the inspection on the last piece of the product and we complete the registration of the Tooling resume. Unless there is a need to outsource the Tooling for an immediate repair, the Toolings are stocked on the indicated spot.